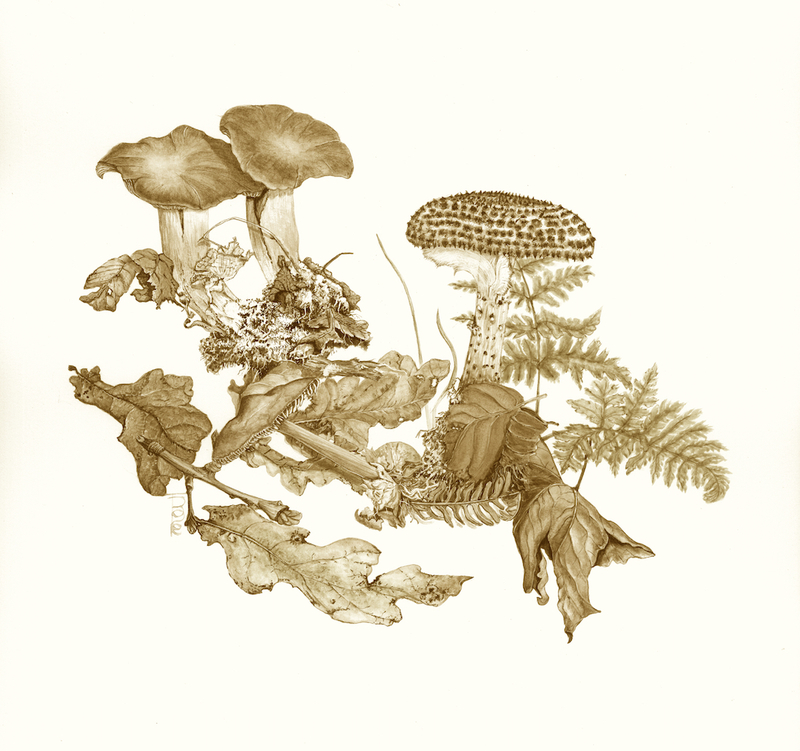 1811 Autumn Leaves and Fungi Exercise. An IBA Workshop – first time painting fungi proper. Artist Code: 1811. Autumn Leaves and Fungi Exercise. Completed 15th October 2018. Original water colour 11″ x 14″, Strathmore Bristol Vellum acid free heavyweight 140lbs. Prints available. 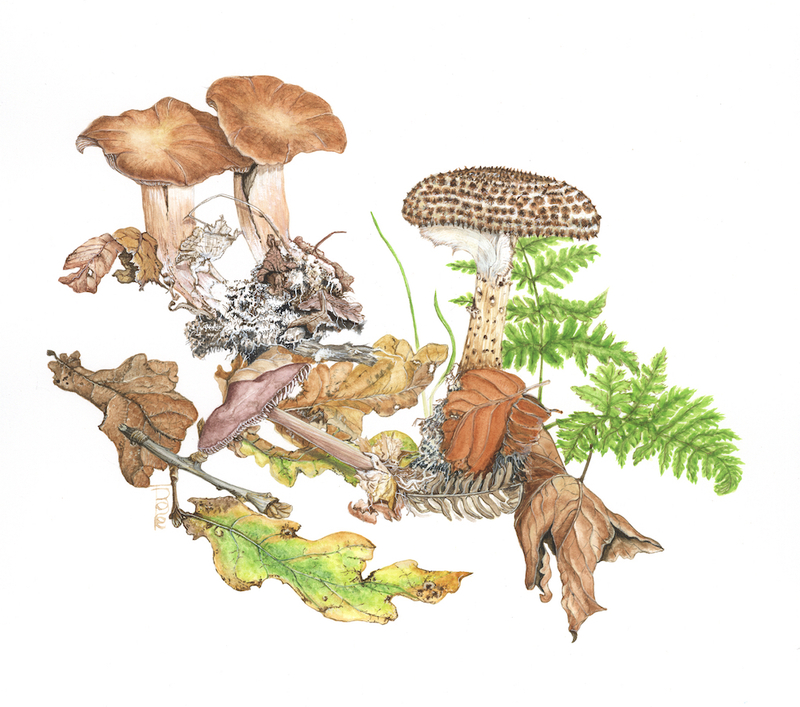 A little exercise to paint some autumn leaves and forayed fungi. I have not looked up the species. Started at an Iceni Botanical Artists (IBA) workshop (my first) at The Bothy, Brandon Forest Park (10 October 2018), and completed at home a few days later by which time the fungi had shrivelled a bit, even though they were kept in the refrigerator! Fungi is fascinating, but I did not get the same enjoyment or satisfaction out of painting these as I do from painting animals and flowering plants. I probably need to do more, and in detail, to discover how to paint them in my normal nitty-gritty style. This painting is rather loose! I did enjoy painting on the Bristol Vellum though; it was almost as smooth as Aquarelle Arches. 1811 Autumn Leaves and Fungi. This little picture looks rather fetching as a Sepia print!